I would like to welcome you today at the EBF and I am very happy to see this room so full. 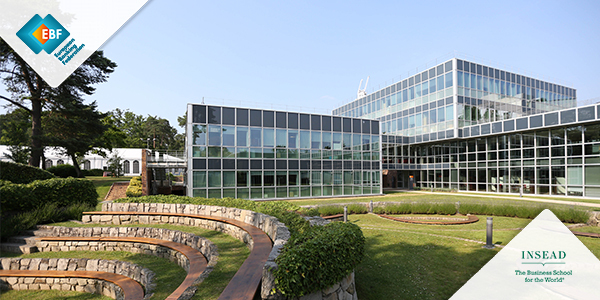 When it comes to Sustainable Finance, we at the European Banking Federation believe in four E’s: enabling, encouraging, engaging and educating. are not sufficient to mobilise finances at the required scale and pace and to transform all aspects of our society. We need a smart regulatory framework which would remove uncertainty, ensure comparability and allow the creation of competitive solutions. Solutions that enable the financing of our transition to more sustainable economies. All of this of course, on a level playing field. As we are closely following and contributing to the work of the European institutions and the Technical Expert Group, we are aware that the EU officials, MEPs involved as well as experts from these groups are literally working around the clock to deliver on the Action Plan. We are therefore very grateful that the European Commission is joining us today to provide an update on this fast-evolving work. Enabling is not sufficient if markets are to be mobilised at the required size and speed. Positive research and evidence on the performance both in terms of risk and profitability of the sustainable investments are emerging. ESG leaders are not only in the position to better anticipate future climate-related risks and opportunities, but also expected to see the cost of equity and debt going down. Well rated ESG companies have less volatile equity and bonds and also better performance. Smart companies using sustainability strategies are gaining competitive advantage, often with help of innovative technologies. On the demand side, most of the retail investors would want to invest sustainably. 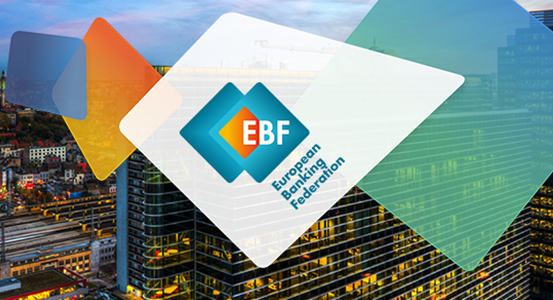 At EBF we have just established a Task Force on Sustainability and Fintech that will explore how innovation and digital technology could help mainstreaming sustainable finance in particular in retail sector but also help with data collection and analysis. Despite these positive developments, emergence of market leaders and encouraging data, we are still talking about a substantial financial investment gap. There is no shortage of capital. It is a question of redirecting the flows where the impact would make the most difference. While lack of taxonomy and data as well as insufficient pipeline may play a role in markets not picking up at the required scale, both legislative and non-legislative framework has to be reviewed to encourage and reward the shift towards sustainable economy. The EBF is preparing a report that will focus on limited number of incentives with a potential to scale up sustainable finance in the banking sector. In cooperation and partnership with other key actors at EU and international level, we are committed to improve sustainability of bank and market-based financing. For example, we are endorsers and promoters of the Principles for Responsible Banking which have a great potential to accelerate the transition of the banking sector and consequently the whole economy towards sustainable path. The sustainability and in particular climate change will indeed leave no sector untouched. We therefore see the need to reinforce the dialogue with stakeholders including our clients art European level to understand the impact of “sustainability agenda” on our respective business models, strategies and risk management. Gathering experts from all over Europe, our Sustainable Finance WG chaired by Toni Ballabriga is keen contributor in the debate and prepared to engage and share the knowledge in support of the key actors and decision makers on ESG related issues. I am therefore very proud and honoured having the opportunity to organize this workshop together with the European Banking Authority. 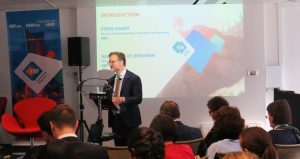 While sustainable finance is a strategic priority for the EBF, the ESG risk management is not only key to the debate but also to the progress. Whereas climate risks are more and more considered financial risk, given the lack of data and limited know how when it comes to calculation and modelling, risk managers still find it challenging to calculate financial impacts of these risks. However, data and methodologies are slowly emerging, also thanks to the enhanced disclosures, enabling their progressive incorporation into risk management and internal processes. We will have to work together with supervisors and regulators to try to improve our knowledge about ESG risks, identify challenges and work on solutions. The objective of today’s workshop indeed to learn from each other and understand better the current state of play regarding the development of ESG considerations within banking and supervisory communities, best practices, discuss challenges, priorities and explore areas for further work and collaboration as well as build partnership to raise awareness and scale up competences. This brings me to the last E.
Financial education is important in empowering people with right skills and competences that help them to ask the right questions and make the right choices when it comes to saving and investing , including on sustainability risks. The education on sustainability should also include the financially trained to facilitate professionals to better understand, measure, integrate and price sustainability risks. Further integration of financial industry experts in training programmes on how to approach sustainability is necessary. From portfolio managers, to risk managers, from Board rooms to the financial advisors, sustainability should be an integral part of everyday processes and decision making. We will be looking for partnerships to support training programmes for banking professionals. We also see our role in complementing the work of the Technical Expert Group and to further contribute to harmonization, we intend to issue voluntary Guidance that will facilitate the application of the EU taxonomy to banks’ loan portfolios. This we believe will be important to facilitate alignment of loan portfolios with the Paris objective which will in our view, will further advance risk mitigation. The banking sectors is ready to connect sustainability and financial objectives. While it will take time and different stakeholders will find themselves at different levels of the scale, adopting a different pace and approach, the trend is clearly set. Our goal should be financial system in which all gains (financial, societal and environmental) are completely engrained. Then, we will not have to talk about sustainable finance anymore as by definition, all finance will be sustainable. While the thinking can already be considered mainstream, we have to ensure concrete actions follow.